Courtesy of Forbes.com, March 6th, 2019. Click here to read the original article. Maynard Dixon (1875-1946), Apache Women, Rice, Ariz. July 1915, Oil on Canvas, 9” x 14." How many times have you asked or been asked that question regarding your dream home? A small number of people would choose Option C: desert. Maynard Dixon was one of those people. 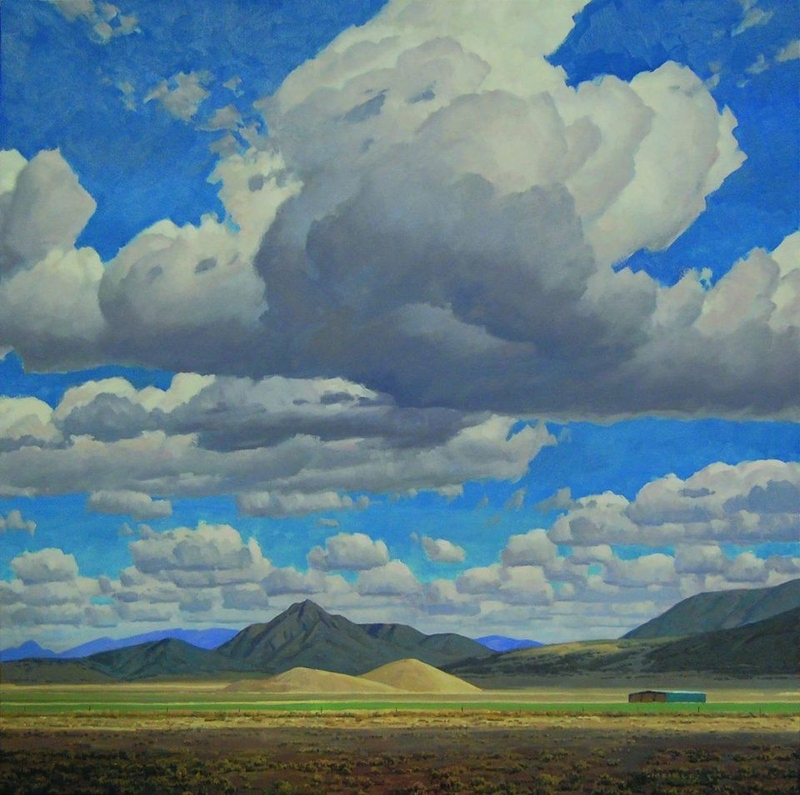 Dixon’s artwork, love affair with the Desert Southwest and influence on today’s Western landscape painters take center stage during an exhibition in Tucson, Arizona, Along the Distant Mesa: An Homage to Maynard Dixon, hosted by Mark Sublette Medicine Man Gallery March 8 through April 30. Mark Sublette has devoted much of the past 20 years of his life to Dixon–the artist’s life, his work and what made him tick. More than 100 works from over 30 leading contemporary artists influenced by Dixon (1875-1946) will be featured in the show alongside 40-plus works for sale by Dixon. 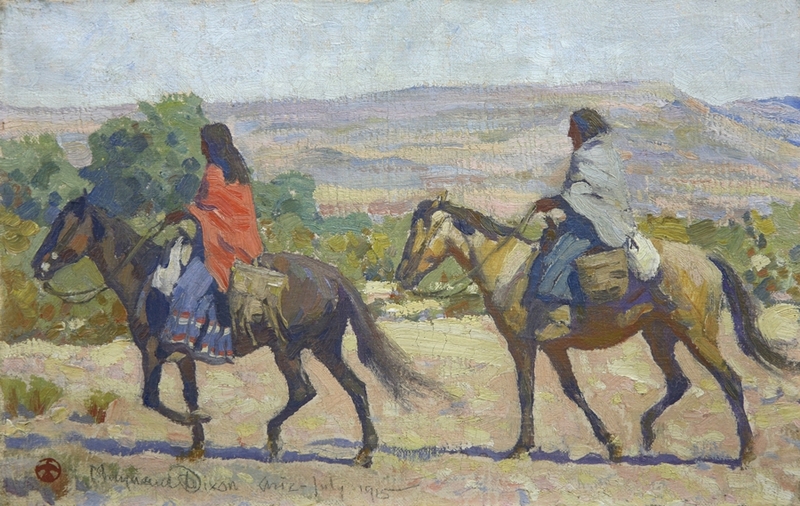 The exhibit coincides with the release of Sublette’s latest book, Maynard Dixon’s American West: Along the Distant Mesa, a 524 page biography of Dixon featuring more than 500 color illustrations. What drives Sublette’s obsession with Dixon? 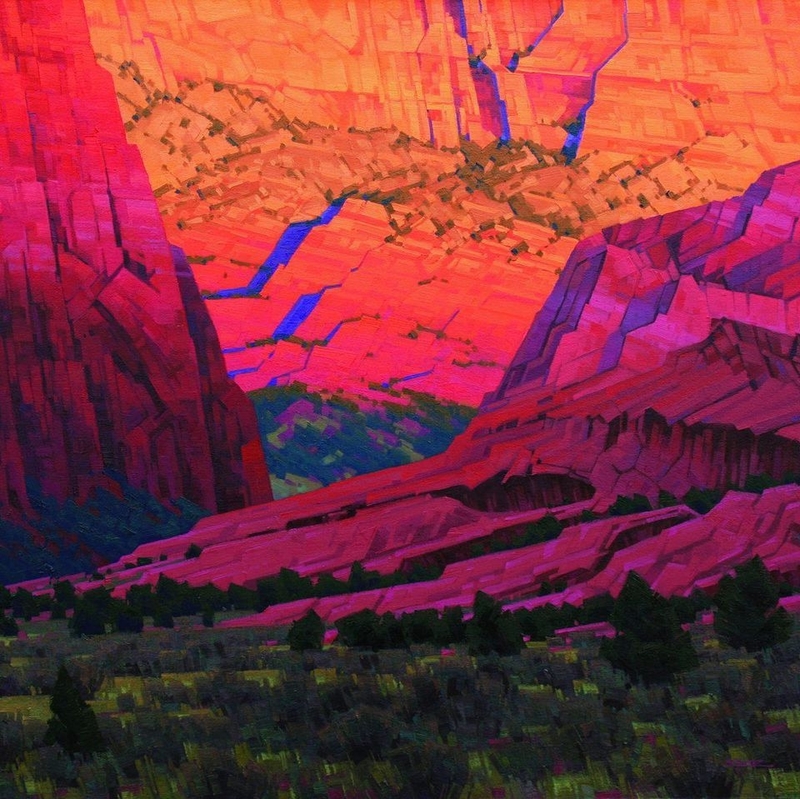 Another snapshot of the American West, this one contemporary, can be found through the work of the artists paying homage to Dixon in the show. The visual and spiritual appeal of the desert occupies center stage at the show. The variations of orange and red. That color palette which seems simultaneously narrow and limitless. The desert hues which take days for the eyes of visiting easterners accustomed to their greens to acclimate to. Dixon employed a yellow for his cottonwood trees serene and faithful enough to the mind’s eye as to allow observers to hear the wind rustling through its leaves. His followers pick up this color which challenges the red of any Vermont maple or the green of any Washington pine for beauty. The swallowing expanse of sky. The lift of the clouds–peaking like airborne mountains when the storms roll in, visible for miles and miles across the flat, baked earth. The freshness of the air. The heat of the day. The cold of the night. The quiet. Desert quiet is different than quiet anywhere else. If you’ve been there, you know. If you haven’t been, perhaps it’s time to find out. Sublette suggests Tucson as the ideal place to introduce yourself to Dixon and the desert. If any of these topics interest you then Sublette’s podcast “Art Dealer Diaries” should feature on your playlist. You can find it wherever you listen to podcasts and on YouTube as well.